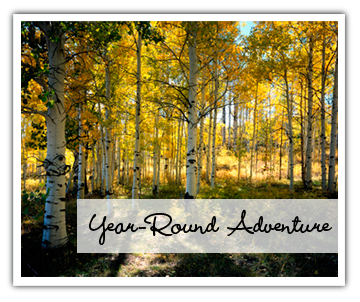 Utah’s Mountain Retreat for Year-Round Adventure! Duck Creek Village is located at the edge of a large mountain meadow in the Dixie Nation Forest, off of Scenic Hwy. 14. At an elevation of approximately 8,400 feet you can enjoy all four seasons. Our central location makes Duck Creek a perfect base for a wide range of activities in every season. Duck Creek is fast gaining recognition as one of the great snowmobile, x-country ski, mountain bike and hiking destinations, with some of the best trails, scenery and terrain anywhere in America’s southwest. Excellent hiking, fishing, horseback riding, ATV riding and other opportunities are readily available. Our Village is also home to quaint lodging, shopping, restaurants, camping and RV parks. Many visitors enjoy this resort so much that they choose to make Duck Creek their permanent home, and there are several subdivisions and a large variety of year-round homes from which to choose. We have a variety of real estate and building professionals as part of our vibrant business community that can provide you with information should you fall in love with our Village and choose to make it home! Located in beautiful Southern Utah, our area is know as the gateway to three national Parks, five national monuments, a renowned National Recreational Area, two state parks, two national forests, and unlimited outdoor adventures. You can find more details on our “Parks & Monuments tab”. Remember! All roads lead back to Duck Creek Village, Utah!